Marcus Aurelius Mausaeus Valerius Carausius was a military commander of the Roman Empire in the 3rd century, who usurped power in 286. 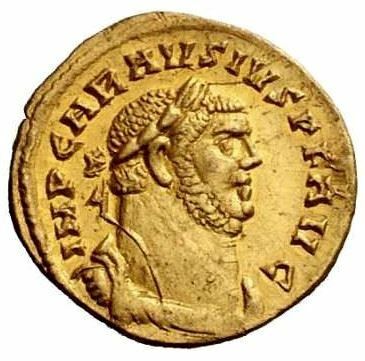 He declared himself emperor in Britain and northern Gaul (Imperium Britanniarum), only 13 years after the Gallic Empire was ended in 273. He held power for seven years, fashioning the name "Emperor of the North" for himself, before being assassinated by his finance minister Allectus.